January can be a difficult month for so many reasons - you get the post-Christmas blues, your clothes are too tight, it's freezing cold and worst of all, you've blown all your money and January pay day takes forever to come round! My pay day is on 27th each month, so I'm still waiting - one more day! January's not the time to be blowing what little cash you have left on high-end beauty, so I thought I'd share some of my favourite bargains from the drugstore - some of them are great dupes for pricier products too. Well hello there mid-January - my Christmas break seems to have over-run slightly... After a lovely Christmas and New Year I've embarked on a few big lifestyle changes (more about that in an update post soon) which have taken up a lot of my time, coupled with the fact that my ring light bulb has blown *sob* and is proving very difficult to replace! 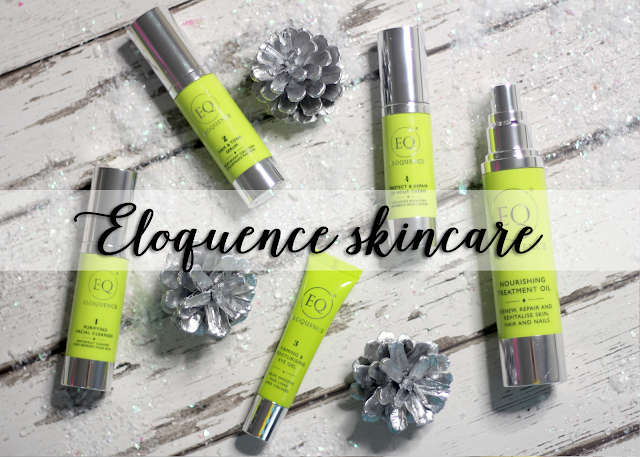 But, silver linings and all that, it's meant that I've had a long, uninterrupted trial period for some fresh new skincare from a brand called Eloquence.